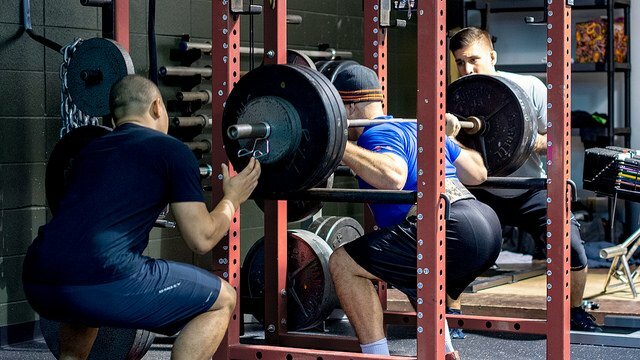 Do you know what is lower body training? The activities involving legs, ankles and thighs form the lower body training. The most popular lower body workouts include squats, the barbell lunge and Deadlifts. These exercises work the core, abdomen muscles, joints, and calves. Posture is defined as the position of the body. Right body posture is required for every human being. Poor body posture leads to back pain, arthritis pain, and other health diseases. Once acquired the poor posture, it is difficult to perform different exercises. Therefore, you must improve your body posture. And for that, you should perform squats, push-ups, and other lower body exercises. For acquiring proper alignment of the body, it is necessary to work lower body parts also. Most of the professionals recommend cycling for burning calories. This is enough for explaining the importance of lower body organs. The largest muscles i.e. quads and glutes help in burning more fat than chest and shoulders. If you perform barbell squats and deadlifts routinely, you will definitely not require treadmills and elliptical for losing weight. By performing squats for a minute, you can burn about 15 calories. And for this thing, you do need to lift heavy dumbbells and barbells. In the nutshell, lower body training is necessary for burning calories and losing weight. Hormones are the substances used for the better functioning of body parts. Under some actions, different glands secret hormones and takes them to the blood. From the blood, they reach to muscles, tissues and perform different operations. You must have heard about secretion of stress relieving hormones during walking and dancing activities. The lower body exercises such as deadlifts and barbell squats secret testosterone and other growth hormones. As most of the lower body exercises require high intensity and resistance, so one can definitely achieve massive strength. The core, legs, ankles, joints all avail a tremendous amount of strength. If you want the better shape of the body, you must perform Deadlifts, push-ups and bench presses routinely. Lower body training is ideal for broadening shoulders and toning ankles. These high-impact workouts provide more strength than exercise bikes and treadmills. Along with physical power, mental power is also improved by doing lower body training. Squats and deadlifts help in building mental endurance and character. Actually, these exercises test the willpower of human beings. If people have the particular will power, he/she will surely perform bench press and squats. By performing Deadlifts and push-ups routinely, you can easily achieve your long term goals. If you want a full body workout, you need to consider lower body training. Squats, Deadlifts, barbell rows are popular lower body workouts. These exercises help in burning calories, enhancing physical and mental strength, secreting hormones and avoiding health diseases. Andrew is the founder and CEO at AimWorkout. As a passionate fitness professional and tri-athlete, there is no adventure he won’t embark on. From mountain biking, deep sea diving, rock climbing and cycling to boxing and mixed martial arts, Andrew has a penchant for the wild and extreme.